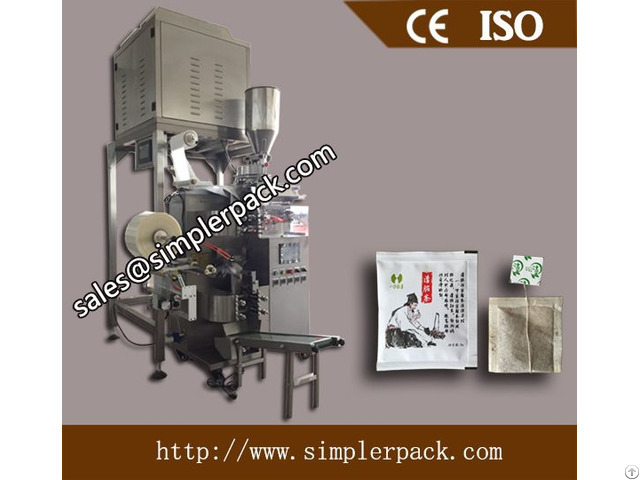 It is suitable for inner and outer bag packing of small granular products, such as tea leaves, medicinal tea and health care tea, etc. 1. 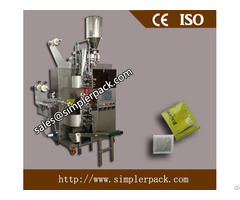 This machine is an automatic multi-functional tea packaging equipment with a new heat sealing type. The inner and outer bag is formed at the same time, avoid your direct contact with the packing material and improve working efficiency. 2. 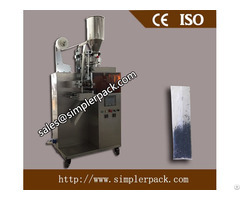 Inner bag is made of filter paper with thread and tag attached, and outer bag is made of composite paper. 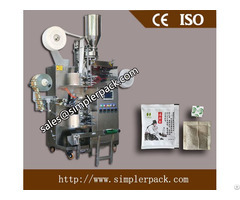 Packing material: Paper/Plastic, Plastic/Plastic, Plastic/Aluminum/Plastic, Paper/Aluminum/Plastic, Tea filter paper, Thread, Tag paper.